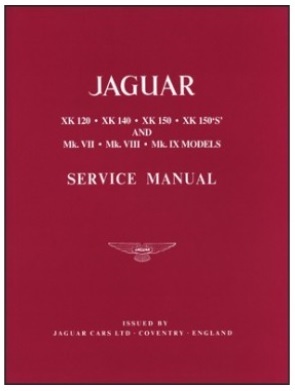 Jaguar XK120 Operating, Maintenance and Service Handbook. New re-print of the original 1940's handbook. Quote "This Handbook sets out the necessary details to ensure the satisfactory operation and maintenance of the Jaguar 3 1/2 Litre XK120"